In 1951 Octavio Paz travelled to India to serve as an attache in the Mexican Embassy. Eleven years later he returned as Mexico's ambassador. In Light of India is Paz's celebration of that country and his most personal work of prose to date. As in all of his essays, he brings poetic insight and voluminous knowledge to bear on the subject, and the result is a series of fascinating discourses on India's landscape, culture and history. 'The Antipodes of Coming and Going' is a lyrical remembrance of Paz's days in India, evoking with astonishing clarity the sights, sounds, smells and denizens of the subcontinent. 'Religions, Castes, Languages' gives a survey of Indian history and its astonishing polyglot society. 'A Project of Nationhood' is an examinatino of modern Indian politics, comparing the respective Islamic, Hindu and Western civilizations through the course of history. 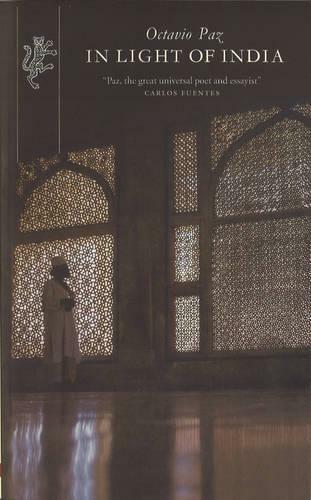 'The Full and the Empty' is an exploration of what Paz calls the soul of India, its art, literature, music and philosophy. It is also an uncompromising indictment of the self-centred materialism of Western society.